Thirty years ago this week (September 13, 1987) a cesium-137 radiotherapy unit was taken from a abandoned hospital in Goiania Brazil, triggering a tragic radiological accident. Below I reproduce part of the executive summary of a report about this accident published in 1988 by the International Atomic Energy Agency. It is now known that at about the end of 1985 a private radiotherapy institute, the Institute Goiano de Radioterapia in Goiania, Brazil, moved to new premises, taking with it a cobalt-60 teletherapy unit and leaving in place a caesium-137 teletherapy unit without notifying the licensing authority as required under the terms of the institute's licence. The former premises were subsequently partly demolished. As a result, the caesium-137 teletherapy unit became totally insecure. Two people entered the premises and, not knowing what the unit was but thinking it might have some scrap value, removed the source assembly from the radiation head of the machine. This they took home and tried to dismantle. In the attempt the source capsule was ruptured. The radioactive source was in the form of caesium chloride salt, which is highly soluble and readily dispersible. Contamination of the environment ensued, with one result being the external irradiation and internal contamination of several persons. Thus began one of the most serious radiological accidents ever to have occurred. After the source capsule was ruptured, the remnants of the source assembly were sold for scrap to a junkyard owner. He noticed that the source material glowed blue in the dark. Several persons were fascinated by this and over a period of days friends and relatives came and saw the phenomenon. Fragments of the source the size of rice grains were distributed to several families. This proceeded for five days, by which time a number of people were showing gastrointestinal symptoms arising from their exposure to radiation from the source. The symptoms were not initially recognized as being due to irradiation. However, one of the persons irradiated connected the illnesses with the source capsule and took the remnants to the public health department in the city. This action began a chain of events which led to the discovery of the accident. A local physicist was the first to assess, by monitoring, the scale of the accident and took actions on his own initiative to evacuate two areas. At the same time the authorities were informed, upon which the speed and the scale of the response were impressive. Several other sites of significant contamination were quickly identified and residents evacuated. The report then addresses the health consequences of the radiation exposure. Shortly after it had been recognized that a serious radiological accident had occurred, specialists — including physicists and physicians — were dispatched from Rio de Janeiro and Sao Paulo to Goiania. On arrival they found that a stadium had been designated as a temporary holding area where contaminated and/or injured persons could be identified. Medical triage was carried out, from which 20 persons were identified as needing hospital treatment. Four of the casualties died within four weeks of their admission to hospital. The post-mortem examinations showed haemorrhagic and septic complications associated with the acute radiation syndrome. The best independent estimates of the total body radiation doses of these four people, by cytogenetic analysis, ranged from 4.5 Gy to over 6 Gy. Two patients with similar estimated doses survived…. Cesium-137 is a notorious radioactive isotope that has been released in many nuclear accidents. It undergoes beta decay to metastable barium-137m, with an average beta energy of 512 keV and a half-life of about 30 years. 137mBa has a half-life of 153 seconds and decays to 137Ba by emitting a 662 keV gamma ray. 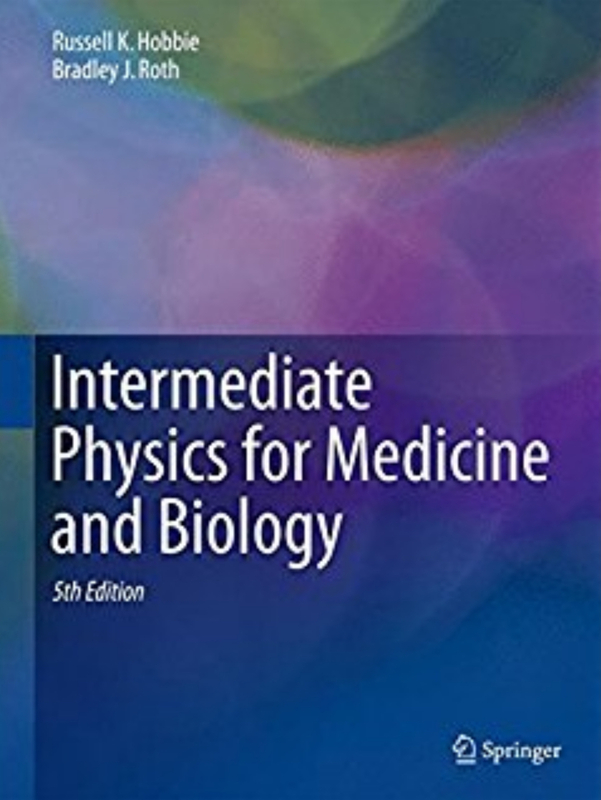 In Chapter 16 of Intermediate Physics for Medicine and Biology, Russ Hobbie and I discuss the risk of radiation exposure. Typical background exposures are a few mSv per year (the unit of a sievert, Sv, is related to a gray, Gy, by multiplying by a dimensionless factor called the relative biological effectiveness; for 137Cs the decays are all beta and gamma, this factor is about one, and we can take the sievert and gray to be the same). Typically about 5 Sv is a fatal dose. For those of you who would prefer to learn visually, below is a video about the Goiania accident.